Your Windows 7 PC/Computer Files Thumbnails Is Not Showing? Fix It Now. Computers running Windows 7 OS uses thumbnails (a small picture/icons) to perfectly represent of a computer files. 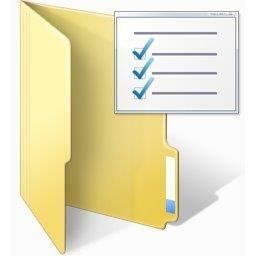 This is done so that you the user can quickly identify a file instead of depending on the file name only. So if thumbnails of files are no longer showing up, it can make you to be discontented of using your computer. If that is what you are experiencing, here is how to fix it. Click on the Start button on taskbar of your computer. Next click on Control Panel. In the Control Panel window, click on Appearance and Personalization if your Control Panel window is on viewed by: Category, next click on Folder Options. But if your Control Panel is on Viewed by: large Icon or Small Icon, just locate Folder Options and click. Next uncheck the box before Always show icons, never thumbnails which in the Advanced settings: section of the View tab. Finally click OK or click Apply before you click OK. Note: This guide is tested on Windows 7 Ultimate, thus it might be different from other versions of Widows OS. But it is rare.